Broccoli is the member of the Cabbage Family. Its head or upper portion is generally used for eating as vegetables. 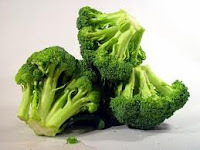 Broccoli is an Italian words made from the plural of broccolo. It consists Calories , if you want to know its more then it contains good amout of the fat, Saturated fat, Sodium, Potassium, Carbohydrate, Dietary fiber, Sugar, Protein, Vitamin A, Vitamin C,Calcium,Iron,Vitamin B-6, Magnesium. It doesn't contains Polyunsaturated Fat, Mono-unsaturated Fat, Cholesterol and Vitamin B-12. You can eat Broccoli in another form by making its Sprouts. 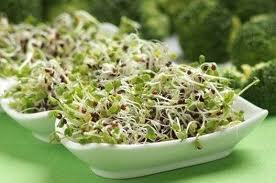 Its very easy to make its Sprouts, these are very good in nutrition value as compared to eating Broccoli only. Now a days in today's busy lifestyle Broccoli Sprouts making device is also available in the Market by which anybody can learn how to make Broccoli Sprouts. 1 It helps to Prevent Cancer. 2 It helps in curbs Overeating. 3 It also fight with Birth Defect. 4 It prevent from Diabetes. 5 It save us from Heart Disease. 6 It promote Healthy Bones. 7 It regulate Blood Pressure. 8 It prevent from Cold. References - Velez, V. (n.d.). pastillas para adelgazar naturales de 2018.”. Retrieved November 21, 2018, from https://adelgazaroficial.com/. as well as receive other Health Related Articles!